A variety of conditions can lead to the unfortunate diagnosis of facial paralysis. Inciting conditions include tumors, trauma, viral infections (Bell’s palsy), strokes and congenital syndromes. 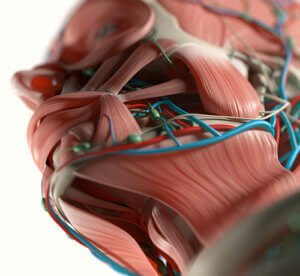 Damage to the facial nerve and its branches can drastically reduce a person’s ability to activate the facial muscles. These muscles control the ability to close the eyelids, raise the eyebrows and, most importantly, smile symmetrically. Chicago plastic and reconstructive surgeon Dr. Marco Ellis has been uniquely trained in the management of paralysis with the full spectrum of cutting-edge solutions. He is able to provide a meaningful recovery for many patients living with facial asymmetry. During a patient’s first consultation, Dr. Ellis documents the timing and origin of the paralysis, the muscles involved and their degree of activity, and areas of asymmetry during motion and at rest. Most importantly, Dr. Ellis explains the range of procedures available and their respective impact. In summary, two separate categories of repair are possible for patients: static and dynamic. Depending on patient risk factors and expectations, simple suspension of affected areas can be performed. These office-based and outpatient procedures aim to camouflage asymmetry. Typical static solutions include lifting the eyebrow or adding a weight to the lower eyelid to improve closure. The use of Botox and fillers can also serve a role to add balance when the parts of the face have lost volume and muscle tone. Dynamic procedures are more complex solutions designed to restore fine control over lost muscles. The most common procedure, masseter nerve transfer, involves rerouting an extra nerve that controls jaw closure to power the muscles involved in upper lip smile. As an expert in microsurgery, Dr. Ellis can also perform procedures that transplant nerves and muscles from extremities to provide new functionality (cross-face sural nerve grafting, neurotized gracilis free flap). The complexity of the reconstruction will depend on the nature and timing of the paralysis. Many patients require a combination of the static and dynamic procedures to meet all of their expectations. Dr. Ellis can offer customizable solutions for patients with partial paralysis or dysfunctional movement (synkinesis).